The reason? Love says the bears are growing increasingly desperate for food as winter approaches, so they're looking for it anywhere they can, including garbage cans, bird feeders and pet food. 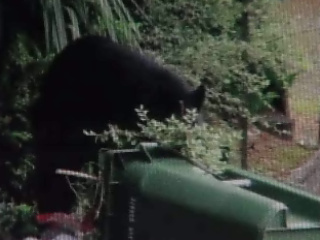 "When a bear comes into town to try to get food, if it's not successful, doesn't get into garbage cans, nobody feeds it, that type of thing, the bear will move on, it won't come back to town. But if they're successful, then they start coming back." Love says homeowners need to take the attraction away from bears, putting pet food indoors and bird feeders out of reach. He says most bears won't pose a threat until they get comfortable.